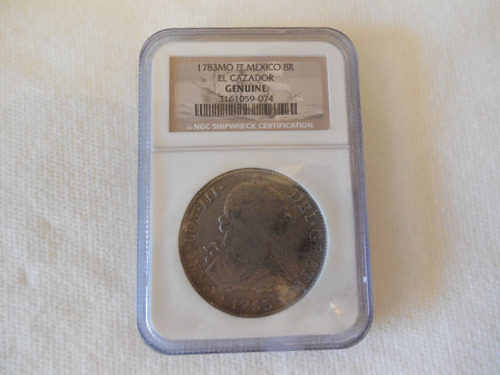 This is a 1783 Spain 8 Reales Shipwreck Coin El Cazador NGC Genuine minted in Mexico City. Please contact us to discuss the purchase of this coin or to make an offer on this coin. The coin in the photos is the coin you will receive. Please judge grade yourself using the photos provided and email if you have questions.